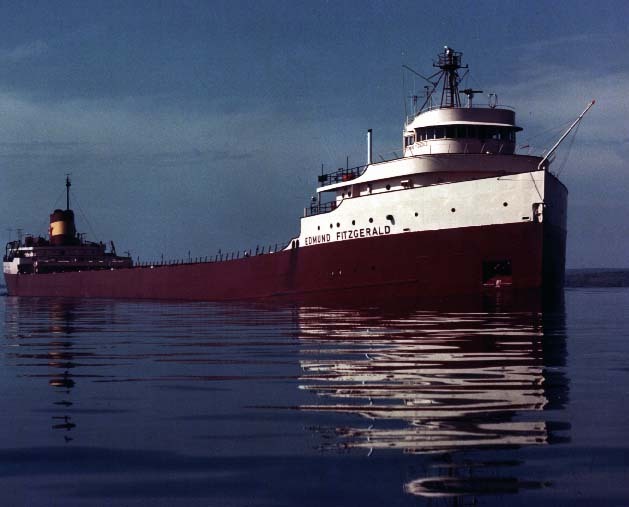 "Dance in a white bay" is a 12 minute, single movement, symphonic work which commemorates the ship and crew of the Edmund Fitzgerald - a great lakes ore freighter which sank in Lake Superior during a November storm in 1975, taking all 29 of her crew to an icy grave. The work was premiered by the University of Akron Symphony Orchestra (Harry Davidson, conductor) on Thursday, May 1, 1997 in Guzzetta Hall. Program notes to "Dance in a White Bay"